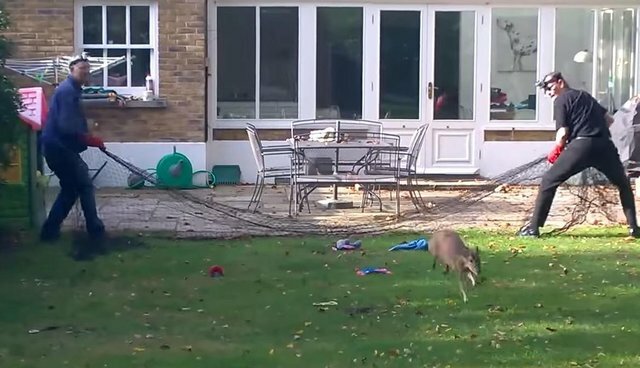 Simon Cowell from the Wildlife Aid Foundation was called out to attend to a muntjac deer that was injured and, now, stuck in a residential garden. The homeowners had seen blood on the ground, where the deer had been running; the deer was very stressed by the homeowners' dog's barking. A very tense and risky rescue followed, as catching a muntjac is like trying to catch a bolt of lightning! !